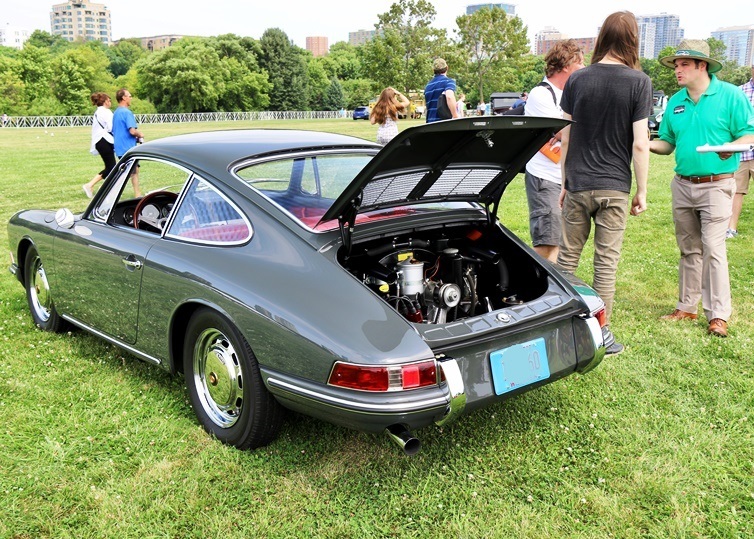 The Milwaukee region's first concours competition in many years was a great success. 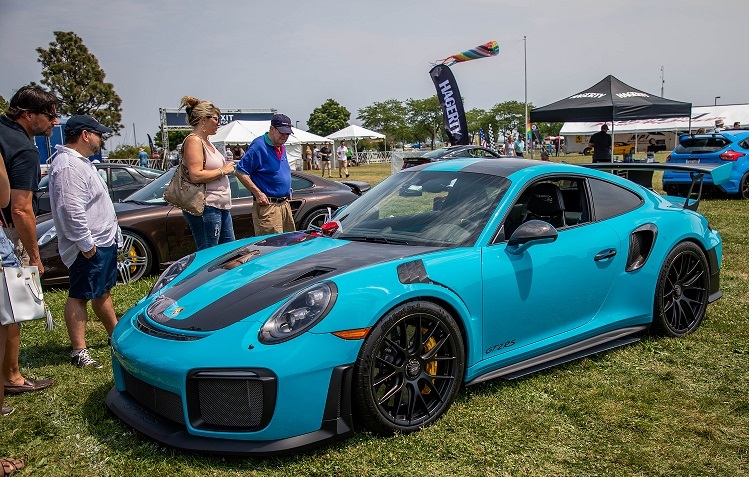 The event was held within the 2018 Milwaukee Concours Show & Glow Paddock on Aug. 5. Best in Class Plaque went to Matthew Goetzinger (middle) and his stunning 1958 356 Speedster. It tallied 39 of a possible 40 points. Presenting the award, Tony Quebbemann, left, region president, and Gene Guszkowski, right, Concours committee chair. 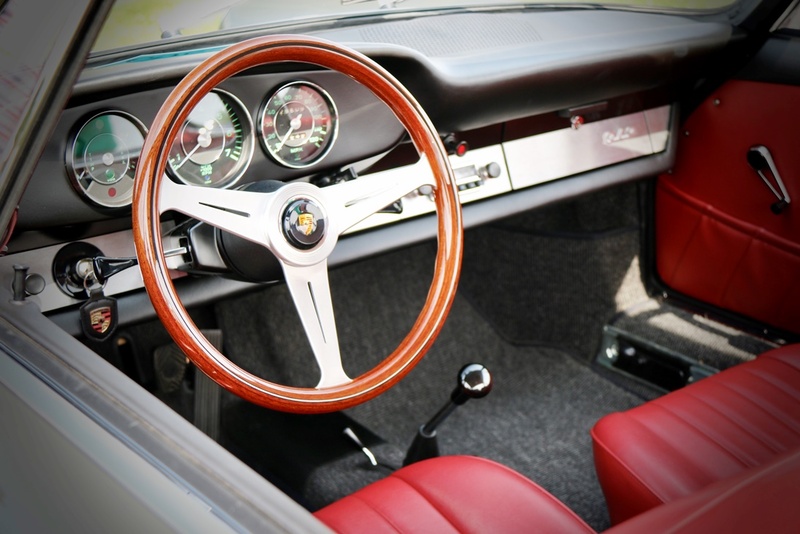 It was especially satisfying to see that two younger members of the club (Tyler and Matthew) were so passionate about their now somewhat historic vehicles and were rewarded accordingly for their efforts in keeping their cars in such pristine condition. Also, it was great that some of the veterans like Tim, Karl and Cliff set a high standard for others to follow. 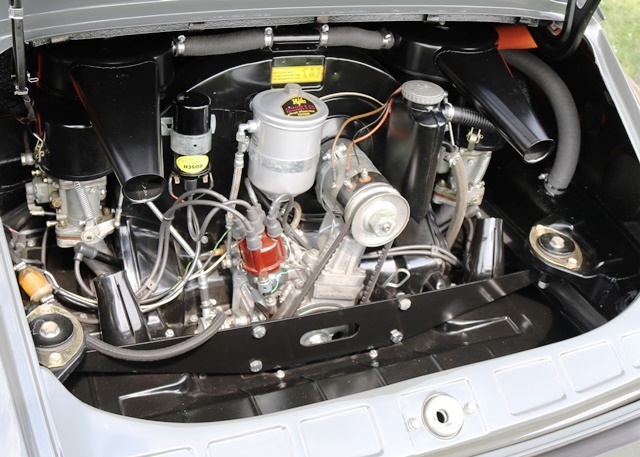 We were also pleased there was such a fascinating cross-section of models ranging from a 356 to 2015 Boxster and lots of great models in between. 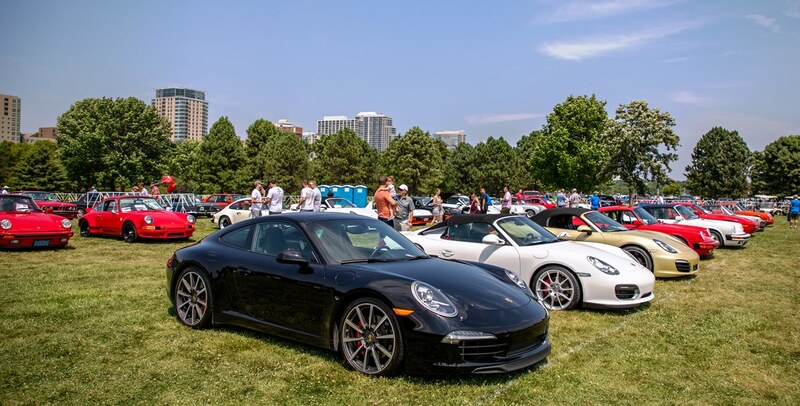 Finally the Concours Committee wants to thank our judges for their time and efforts on a sweltering day at the lakefront. Jim Del Balso was the head judge; Steve Alexander and Tim White were assistant judges. 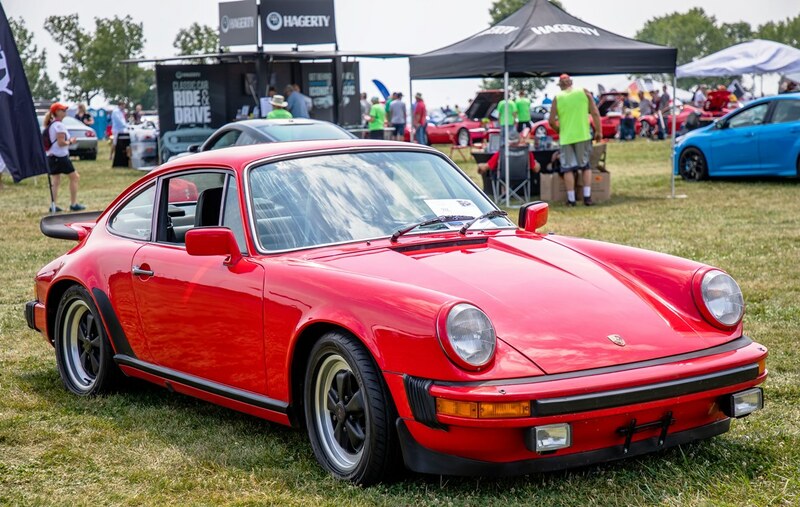 Mike O’Krongly, who also is president of the Masterpiece Ltd., the host of the Milwaukee Concours D’elegance, helped us coordinate the event that was held as part of the Show & Glow Paddock. Region members Al Bloom and Donna Daufenbauch took our "Show within a Show" under their wings and provided guidance. 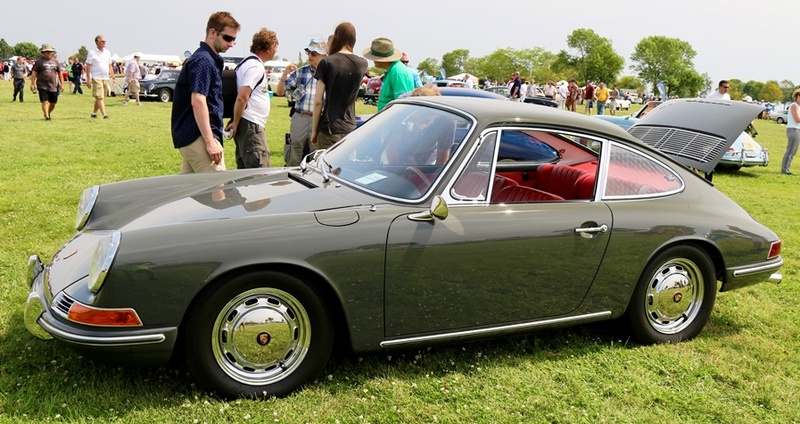 Thanks especially to all of the 19 Porschephiles who decided to participate and ensure that our revival of the Milwaukee Region PCA Concours series got off to a great start. 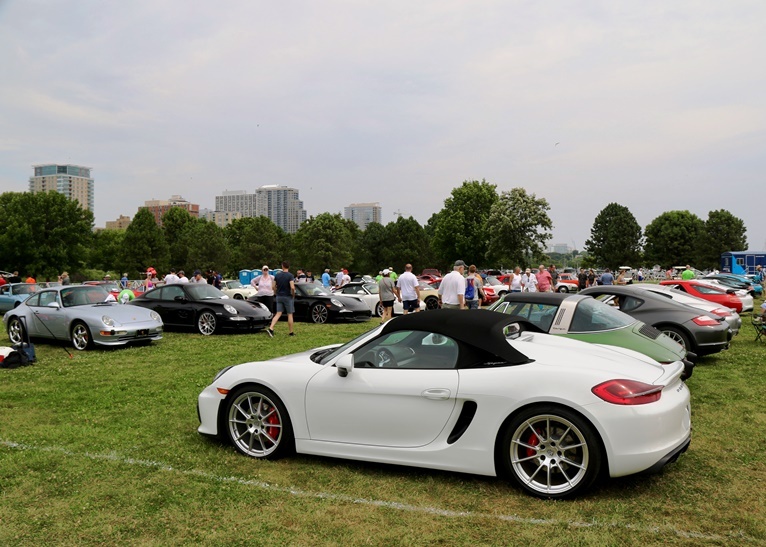 Tim White (center) and his immaculate 2011 Boxster Spyder. Note, Tim recused himself from judging his car. Judges Del Balso and Alexander deemed his car too outstanding to pass up. Tyler Hayes (center) and his thoughtfully detailed 1981 911SC. 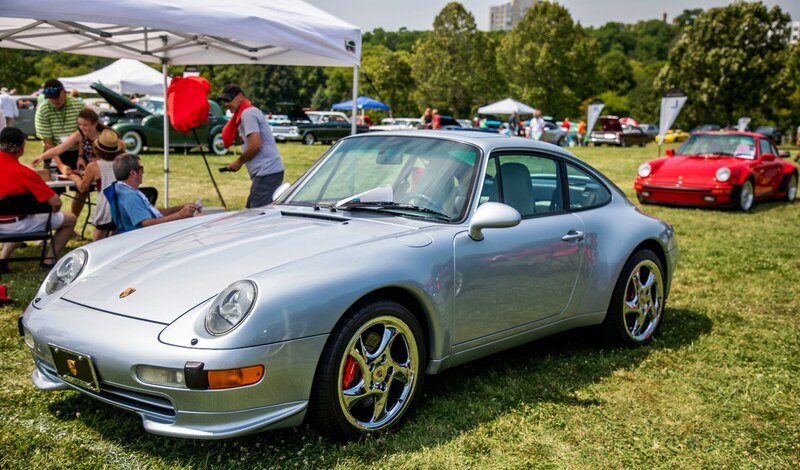 Clifton Albino (center) and his nicely appointed 1987 928 S4. Karl Schulz (center) and his colorful 1974 914/4 LE. Above photos by Jim Del Balso. 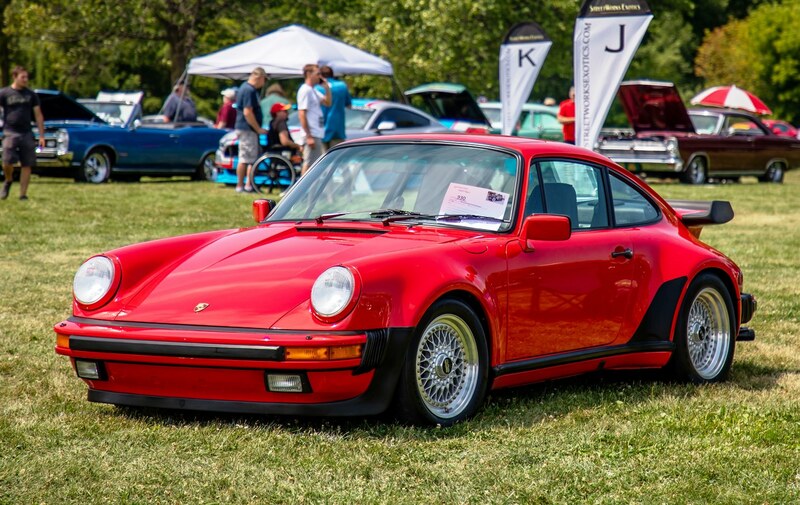 Enjoy these photos of the Porsche display in the Show & Glow Paddock. Photos below by Joshua Behrend and Al Wagner.